Buying a home if you’re disabled can seem like a difficult or even impossible goal. The home buying process is already daunting, and adding extra requirements such as location or accessibility only further complicates the process. Fortunately, there a multitude of programs that help those in this situation become homeowners. We’ve compiled all you need to know about buying a home, and how to take advantages of the various programs available to acquire a home for disabled individuals. There are many government sponsored programs that can help individuals to home ownership. This is from a wide range of programs from grants, loans, as well as advice and planning. There are also a wide range of non-governmental and nonprofit programs available to prospective home buyers. Many of these programs work with low income individuals, but also provide priority support to the elderly and disabled. This article will also go over many tips and tricks that can help along the process. THis includes good to know aspects that will help the process move along smoother, as well as additional resources for those looking for added support. By the end you’ll have all you need to know to become a homeowner. Buying a home for when disabled shouldn’t be impossible, and with the right knowledge can be a very achievable goal. One of the prime reasons to buy a home is for that sense of accomplishment and independence. Owning a home is a very common goal, and there’s a great feeling to knowing you own the home and can do what you like with it. There’s also financial reasons and the large amount of equity you have when you own a home. In the long term, a home is a great investment and saves money over renting in the long run. It’s great to be able to retire and not have to worry about your housing payment. House prices have historically on average gone up a well, so it’s very likely that in 10-20 years your home will be worth much more than when you first bought it. 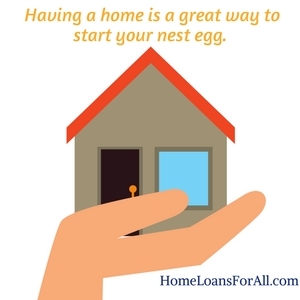 Having a home is a great way to start your nest egg. It’s also important to keep in mind the flip side and understand the responsibilities of home ownership. The most glaring one, especially for disabled individuals, is the upkeep. Depending on the specific disability, common household chores like mowing the lawn or shoveling the snow can be difficult, and unlike an apartment unit these responsibilities fall on the homeowner. It’s important to know how you’ll manage the upkeep of the home and keep it in good order. There’s also things expenses that need to be accounted for. The odd repair, replacing broken pieces, and the unavoidable property tax. Many of these expenses are unique to homeownership, and are important to to keep in mind. For those looking to learn more, many of the programs listed below have ties to home ownership classes which help prospective homeowners learn more, and some may require a course be completed before benefits are awarded. The person makes rude and discriminatory comments. The seller behaves differently in front of other buyers. They disregard or ignore certain people, but seem to be responsive to others. A seller or lender requires different fees or a modified process for those with disabilities. In situations where discrimination is taking place, there are protections and laws in place to stop it from happening. These laws were created to create a fair playing field for all people, regardless of who they are. These protections cover a range of protected classes, but in this case we’ll look at how they apply to disabled individuals and potential discrimination they might face. One such protection is the fair housing act. This was a law put in place to prevent discrimination in housing for any protected class, which includes those with disabilities. This law effects all those in the selling process, including banks and lending institutions. It extends to both renting, as well as home buying. That doesn’t prevent a lender for example from denying you, but stipulates that they can not do so due to a disability. A bank can still deny you a loan for having poor credit, but can not if you’re in a wheelchair for instance. This helps level the playing field, and forces others to consider you on the same basis as everyone else. Another important law to keep in mind when buying a home while you’re disabled is the ADA or Americans With Disabilities Act. Put simply, this act requires that all disabled people are treated fairly in aspects of public life. This extends to home buying, as well as renting, and further prevents any sort of legal discrimination. An important note, this act requires that the process is the same for all individuals. This means that a lender or seller cannot force a disabled individual to follow different process, or pay extra fees. They must be on the same field as everyone else. It also requires that a homeowner should be allowed to make reasonable accommodations to their property to full enjoy it. This might come into play in a condo for example, where a disabled individual would be allowed to make modifications that others might be barred from making. The key here though is any modification needs to be made to help the disabled individual enjoy their property better, and overcome the problems the disability prevents. What If I’ve Been Discriminated Against? If you feel you’ve been discriminated against the best move is to file a complaint against the offender through HUD. They have a form on their website that can be completed there or mail, or you can call them. They will ask questions regarding the incident and then perform an investigation and take appropriate action. An important consideration to keep in mind is the actual home itself and whether it meets your accessible needs. While there are some programs that will help cover the costs of these additions, many times they will require out of pocket expenses. It might also be a good negotiation point when buying the home, some motivated buyers might agree to make accessibility additions in order to sell their home quicker. Parking is an important thing to consider, namely what type is it and how far will you have to park. For suburban housing, this is likely not too big of an issue as many houses have driveways or garages, but cities can be different. Many housing situations in larger cities utilize on street parking, which can oftentimes be crowded and difficult to find. If looking in a larger city, keep this in mind, as well as special situations like street cleaning which can force you to park in different locations on certain days. The general layout of the home also plays a big role in accessibility. A well laid out home is easy to navigate, and allows ample room for items like walkers or wheelchairs. This is largely going to be based on your individual needs, so keep this in mind when house shopping. Also keep in mind the location, is it near to places you’ll need to visit frequently. If your disability requires frequent doctor visits, keep in mind how long you’ll have to travel back and forth each time. Lastly, keep in mind the construction of the home and the different features it might have. This includes things like stairwells, ramp, and the like. Depending on your needs, these might be important considerations. These large, structural changes can also be quite expensive, so keep that in mind if the house you’re looking at doesn’t come equipped with them. The best way to get started with any of the following programs is to find a lender or agent who has experience working with the various programs for disabled individuals. 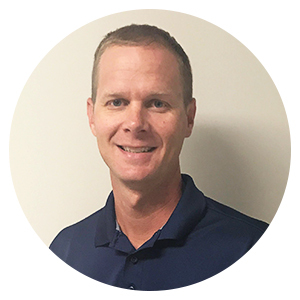 A lot of the programs qualifications and eligibility can be confusing, and it’s important to work with an expert who can make the process smoother. They also might be aware of local programs that can help, and can help point out these opportunities which can further ease the difficulty of purchasing a home. 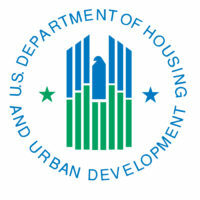 The Department of Housing and Urban Development (HUD) also provides resources that can assist all types of home buyers. The HUD has offices in all 50 states, and has counselors that can help with any part of the home buying process. These are experts in the home buying process, and are a valuable resources for disabled individuals looking to purchase a home. In particular, they can assist with understanding the various types of government assistance available. They have vast amounts of experience in these programs, and can help determine eligibility and assist in applying for them. They might also be able to point to additional sources of aid that can make securing the home even easier. Financial aid is one of the most important things to be on the lookout for when purchasing a home when disabled. Fortunately, there are a number of aid opportunities that come with a range of benefits such as lowered payments, down payment assistance, reduced interest rates and more. Let’s take a look at some of the more popular programs a disabled home buyer might take advantage of. Section 8 is a government program that provides housing assistance for low income and disabled individuals and families. This program provides housing vouchers that can be used to acquire housing, these vouchers are not just for rening. Even better, this can count as income when applying for a mortgage, even with FHA loans. Keep in mind though, a lender is going to want to be sure that any sources of income are going to last for the duration of the loan. If any public assistance is set to expire within three years of the mortgage application then it can not be counted as effective income. There are also a variety of state and local programs throughout the country to take advantage of. These are put on by local governments, and are generally restricted to the state, county, or city where the program is being offered from. For example, the Chicago Housing Authority provides assistance for low income individuals and families find affordable housing. They offer vouchers and other assistance to make the process easier. They also a variety of utilities allowances, which can further help reduce the cost of owning a home. While this example is restricted to the city of Chicago, there are similar programs all throughout the nation at various levels. It would be impossible to list them all here, so make sure to do a bit of research to discover what’s available in your area. This is another good reason to work with an experienced lender, as they can likely help find any local programs and assistance in the application process. There are also a large number of non-profits, both national and local, that help low income or disabled people find affordable housing. A well known example of this is the habitat for humanity. Habitat for Humanity helps to build housing all across the country for those in need of housing. This includes disaster support, but also for those with low income and disabilities. This is just one example of a large, national nonprofit that can help provide affordable housing. There are many more throughout the country, and a large number of local nonprofits that can provide assistance. For example, many churches run programs that help individuals secure housing. Another good reason to work with experienced lenders who may know of these local options. Keep these in mind as they can provide huge amounts of support in everything from building a new home, or helping make an existing one more accessible. If you’re a veteran, you have additional options open to you. For those that were disabled in the line of duty, the government provides grants that can help them acquire housing affordably. There are some requirements for what disabilities qualify, but for those that do this is a fantastic option. Even better, the grant can be used multiple times throughout an individual’s life. The grant also has options for outfitting an existing home. If you already own a home then the grant can be used to improve accessibility to make it more livable for those with disabilities. This sort of flexibility, and the fact that it’s a grant that does not need to be repaid, makes it fantastic option. While only veterans will qualify, those that do should absolutely contact their local VA to take advantage of this program. In addition to those already mentioned, the government has a multiple programs to help disabled individuals find housing. Most of these programs are country wide, so they can be used by individuals in most states and locations. While not specifically for disabled individuals, FHA loans are a great option for lots of low income borrowers. FHA loans are government backed loans, that allow borrowers to secure a mortgage with as low as 3.5% down payment. They also have less strict requirements for income and credit scores. Many first time home buyers utilize these loans for that fact, but they aren’t exclusive to first time buyers. 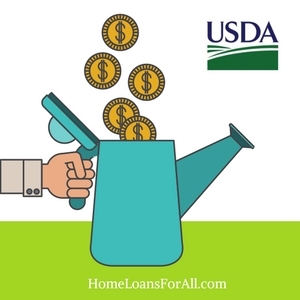 What makes the FHA loan even better is that a lot of the grants or vouchers offered by the government can also be used as income when applying for this loan. This means for example, an individual can use their social security income to secure a FHA loan and purchase a home. Add to that the small down payment needed, and it becomes an attractive choice. It’s important to keep in mind though, most lenders when looking at income want to be reasonably sure that the income will last long enough to pay for the loan. In most cases of government aid, they will want to make sure the assistance will last for at least three years. This means that income from short term disability aid won’t be counted, as it will likely drop off before the three year mark. If you’re looking to use assistance as income on your mortgage application make sure that it will last at least until the three year mark. There are some requirements for the type of housing, for instance an FHA loan does require an inspection to be completed. There is also some addition paperwork that many sellers amount to extra time, which means some sellers are apprehensive about dealing with FHA loan users. As touched on earlier, the Department Housing and Urban Development is a great resource for disabled individuals looking to purchase a home. They offer a variety of services and programs to help disabled people find housing. Their website is a great resource that goes over a lot of important information. It also includes lots of good information on the various programs mentioned above available to disabled individuals, as well as what to do in the case of discrimination. HUD also offers vouchers through local public housing associations. These help subsidize the cost of mortgage payments, and can help low income and disabled individuals acquire a home. In order to see what options are available near you, visit your local public housing association, and they’ll be happy to help you. 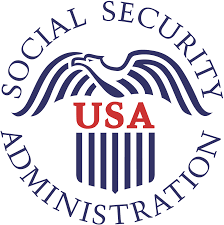 Social security is one of the largest social programs the government offers, and has multiple options for disabled individuals. Social security benefits come in two different types. Supplemental Social Security (SSI): Supplemental Social Security is a needs based program. There is no requirement on age or hours worked, but does have restrictions on income and assets as it is meant for lower income individuals. Social Security Disability Insurance(SSDI): Social Security disability insurance is not income based, but is available to those who have worked a certain amount of hours and contributed to the social fund through taxes. These benefits can also extend to certain family members. In either case, applications require the submission of medical documents in order for a decision to be made. It’s important to apply as soon as possible if you’re disabled as SSDI is not paid for the first five months. Applications are accepted online or via the phone. The social security administration also offers a started kit on their website. This kit walks through the entire process, and points out all the required documents that will need to be submitted to qualify. It also covers the exact benefits available, and is a great place to start for those considering applying. Once approved, and after waiting any applicable time, you’ll begin receiving Social security disability benefits from the social security administration. The amount varies from person to person, with the averages ranging from $700 to $1700 per month. This amount can also be influenced by other government payouts for disabilities. If you’re receiving other forms of disability then you’re payments from social security may be reduced. Once you’re getting the the monies it can count as income when applying for a mortgage, for example when applying for an FHA or other loan. Keep in mind though, this will only be the case if the benefits are expected to last more than three years, otherwise they won’t be counted. The big issues with social security is the strict requirements. The income or working requirements for either one can disqualify many. There’s also the five month waiting period for SSDI that can a serious problem for those looking to use the benefits quickly. In addition to what’s mentioned above, there are a number of low income government programs. These programs can also be utilized by disabled individuals who are within the acceptable income range. Most people are aware that section 8 housing is low cost rental, but not many know that the vouchers provided in the section 8 program can be used to purchase a home as well. The section 8 homeownership voucher program was set up to allow section 8 recipients to use their stipend to purchase a home. The program itself is only open to first time home buyers, and has some strict income requirements. The process can be a different in each state, but in general the first step is to talk to the local public housing authority. In most cases, those with disabilities are given priority, making it quicker for these individuals to find housing. Once the process begins, in many cases you’ll be required to attend some sort of homeownership counseling program. This is to ensure that the buyers are educated on home ownership, and understand their responsibilities. In the end, most mortgages give out through this program are government backed FHA loans. This makes sense as these loans are made for lower income individuals, and provide the lender extra security when working with more risky borrowers. One of the prime disadvantages of section 8 is the difficulty of getting approved. Each year, only a limited amount of money is allocated towards this program. This means that only a limited number of applicants will be approve; not all who qualify will receive the benefits. This uncertainty can make many applicants uncomfortable. It also has some strict income requirements, and your benefits can be cut off if your income raises above this limit. Also referred to as the section 502 Direct Loan Program, this provides assistance to low income borrowers in certain rural areas around the country. The program provides payment assistance, which can help secure a loan and lower the payment amounts. The main requirement for this type of loan is the rural location. The USDA has a map of which locations qualify. Outside of that, there are also maximum income requirements, this loan is for low income individuals, as well as property requirements. It is also necessary for the home to be the buyers primary residence. The primary benefit of this type of loan is a 100% financing with no money down, and the ability to secure an extended rate depending on an individual’s income. This is great for low income borrowers as it allows them to forgo one of the largest obstacles for home buyers, the down payment. It also allows the borrower to extend their mortgage to a total of 38 years, a bit longer than the standard 30. This extra length lowers the payments, and can help make the mortgage payment much easier to manage. The major downside is the rural requirement which will prevent those living in more populous areas and large cities from qualifying. It’s also important to note that this is a loan, and needs to be repaid. Unlike other options that may be grants, this is not free money and still does have some income and credit requirements. 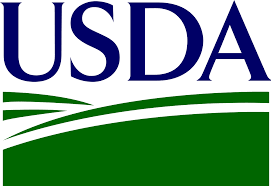 A common mistake is to assume that the USDA only offers a single loan option, but that is not the case. Many confuse the Guaranteed Home Loan Program with the 502 direct loan program mentioned above. While the loans are different, they do both have the rural location requirement; locations can be checked on USDA website, and are both offered by the USDA. The big difference between the two is that the Guaranteed Loan is available for higher income individuals, and also has stricter requirements in terms of credit and income minimums. It’s also important to note that the guaranteed loan program loans are actually served by qualified 3rd parties. 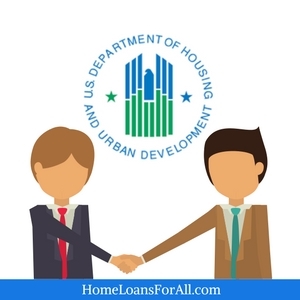 That means that they will all have their own specifics for requirements, as well their own loan terms such as interest rates, similar to how FHA loans are originated. The main benefit of this loan is 0 down financing, and no requirement to carry private mortgage insurance. You can also roll closing and renovation costs into the loan itself. This cuts the costs greatly for borrowers, and provides an easy way for individuals to become homeowners. The main drawback is similar to the direct loan in that it can only be used to purchase homes in certain rural locations. This locks out a lot of potential users who are in non-covered areas and large cities. It also has stricter credit score requirements, generally 640+, as well as having a good debt to income ratio. This locks out a lot of lower income individuals who might either have poor credit, or simply not enough income to qualify. 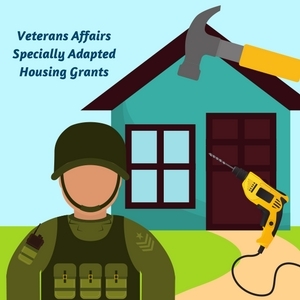 The Specially Adapted Housing Grants are grants provided by the VA for service members that were injured and disabled in the line of duty. To qualify, you can apply online, in person, or through the mail. 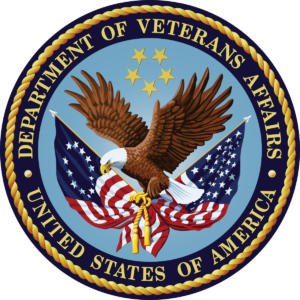 The VA benefits site provides the exact details, but you’ll need to provide proof of a qualifying disability as well as release papers from service. In most cases, your release will need to be something other than a dishonorable discharge. It’s also important to note that not all disabilities qualify, the VA keeps of list of what qualifies for these types of loans. The grant itself varies year to year, but for 2018 a qualifying service member could qualify for up to three grants totaling $81,080. This money can be used to purchase a new home, or make changes to an existing property. In both cases, the home must be a permanent, long term dwelling. The main disadvantage with this program that will bar many from it is the requirement to be a disabled service member. What’s more, that disability must have come from your service, so this will further limit the amount of individuals who qualify. Lastly, there is a limit on how many such grants can be given per year, so even if a veteran qualifies it’s possible that there will not be any grants left to give for the year. This makes it a bit uncertain on whether an individual will actually receive the grant. As noted above, there are a large number on non-profit programs to help disabled individuals purchase homes. These programs vary widely in reach, some are nationwide while others only touch on a specific city, as well as the type of support they offer. 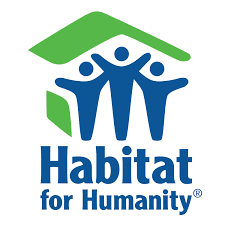 One of the most well known housing nonprofits that is nationwide is Habitat for Humanity. They’re most well known for physically building houses for the needy, but they also provide help with down payments and securing mortgages. They’re also very familiar with the needs of disabled people, and will work to put them in a house that will work for them in terms of construction and features. The application process is handled locally at one of the many Habitat for Humanity locations all over the country. The applicant will be required to demonstrate a need for safe housing, and this will then be reviewed by Habitat staff. The applicant will also have to be willing to invest “sweat equity” and partner with Habitat. This might include building their own home, building others in the community, or performing other volunteer duties. The biggest disadvantage of Habitat for Humanity is the time it can take from application to livable home. In many cases, it can take well over a year from start to finish. This means many people going through the process will have to find alternate housing in the meantime, which can be difficult or expensive. They also have limited resources, and you’ll have to get lucky to get approve. Unfortunately, they can’t build a home for every single person in need. The rebuild together program is another non profit that helps individuals. They perform actions such as building and repair homes for needy individuals, and help to revitalize communities. They do this by partnering with other charities and businesses, as well as utilizing volunteers. To apply, you’ll need to contact your local affiliate. These are located all over the country, and they have a list of them, and their contact info, on the Rebuild Together Website. Once in contact with the local affiliate, they have an application process where you will need to demonstrate a need, whether help with housing or repairs to your current home. The good news, is that they give priority to elderly or disabled applicants. The main drawback is the timeline as it can take months to be approved. There is also a limit to how much work they are able to do, and unfortunately they can not provide assistance to every needy individual. THe Homes For Our Troops program is setup to provide no cost housing to severely injured veterans post 9/11. They do this by building new, specially adapted homes to help these veterans rebuild their lives. Applications are started by filling out the form on their webiste. After which the applicant will need to provide a Specially Adapted Letter of Eligibility from the VA, as well as pass a criminal background check. The applicant will then need to be able to demonstrate that they can perform basic upkeep, and maintain the house after it’s built. If accepted, the veteran is awarded with a home at no cost to them. They also are not required to pay a mortgage, and within 10 years will have complete ownership of the home. Homes For Our Troops also provides support afterwards to make sure the veteran is able to maintain and keep their new home. Once again, the drawback here is the timeline. Their website states an average project can take anywhere from 18-24 months. That’s a long time for those in need of housing now. They’re also quite selective in who actually qualifies, so the pool of disabled individuals who will be accepted into the program is small. Outside of all the resources listed there are ton more out there that can help individuals find home loans for disabled persons. These organizations provide a wide variety of services, and can help with many of the confusing aspects of the mortgage process. In many cases, working with these organizations is free on the part of the individual, and can speed up or simplify the entire process. 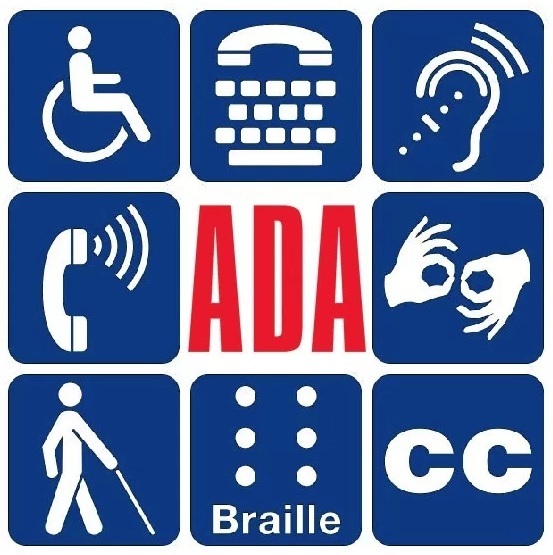 The American Association for People with Disabilities, or AAPD, is an organization set up to help promote the political and economic power of people with disabilities. They can provide additional assistance in any aspect of the process, as well as helping protect from discrimination. 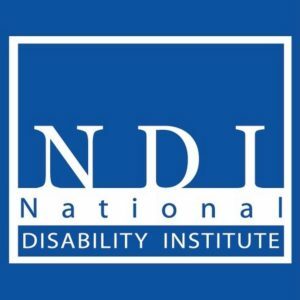 The national Disability Institute is similar to the AAPD in that they provide support to help elevate disable individuals to a good financial standing. They provide a wide range of services, from helping with tax filing to assistance with finding employment. 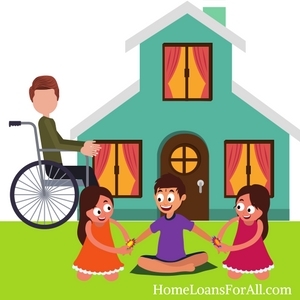 They are an excellent resource for home loans for disabled individuals and disabled persons that need help in really any aspect of their financial life. The National Organization on Disability is another resource for disabled individuals, and focuses on helping them find employment. They work with businesses to help evaluate their policies, and assist disabled individuals in finding employment. While the process of buying a home for disabled individuals can be daunting it need not be impossible. With all the resources and programs available to them, find help is all about knowing where to look. With the help of these programs, securing a home or a mortgage can be a much easier process. SSDI stands for Social Security Disability Insurance, and is monthly pay to people who are unable to work due to a disability or illness that is expected to last longer than a year. This benefit is based on worked done at a job covered by social security and tax monies paid into the fund. I’m a Disabled Veteran, What’s the Best Way To Buy a Home? The VA offers multiple grants and programs to help disabled veterans buy a home. The best first step is to contact your local VA, and discuss what options are available to you, and what sort of benefits your disability qualifies for. It also depends on whether your disability was caused by your service. In addition to the VA programs, there are many nonprofits that offer housing to disabled veterans. Can a Bank Not Approve Me For a Loan Because I’m Disabled? No, there are multiple laws in place that protect disabled individuals from discrimination based solely on the fact that they are disabled. 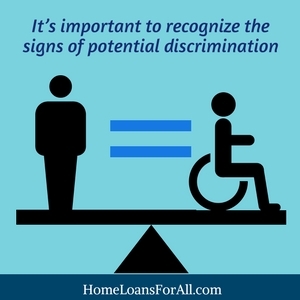 What that means, is a bank, agent, seller, or anyone in the process can not choose to not deal with an individual solely on the basis of their disability. That said, these individuals can still be denied based on normal items such as poor credit and doing so is within the right of the lender. Can you buy a house while on SSI? Yes, there is nothing stopping and individual on SSI from using their benefits to buy a home. What is the best loan for people on SSI? 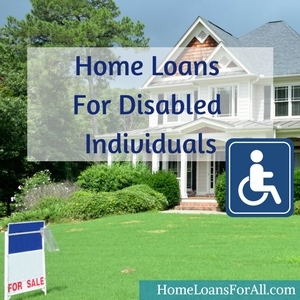 This largely depends on the unique situation of the individual, there a lot of good home loans for disabled individuals. For example, a the disabled vet has many good loan options provided by the VA. Others might looks to options like FHA backed loans. The best move is to talk to an experienced lender or the multitude of disability organizations that can walk you through your options. 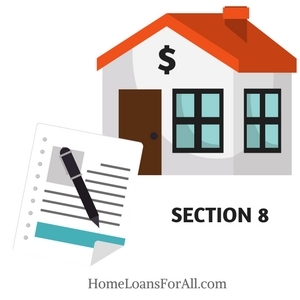 Can I Use Section 8 Benefits To Buy a Home? In certain cases yes, section 8 has a special home voucher program. If you meet the requirements, you’ll be able to use your section 8 benefits to purchase a home. What are the downsides of using nonprofit home builders and assistance like Habitat for Humanity? The main downside for many nonprofits is the time it takes to get approved. In many cases these programs can take over a year to place an individual in a home. This is due to the limited resources these organizations have, and the approval process they use to make sure they allocate them where they can do the most good. My Adult Child Is Disabled, Is there any programs specifically for me? Yes, in addition to what’s listed certain lenders will allow the parent to be the technical owner of the home. This is generally the case when the child cannot work due to their disability and is unable to acquire enough income to apply for a mortgage on their own.